McCuller Crossing is located in burgeoning North Portland. 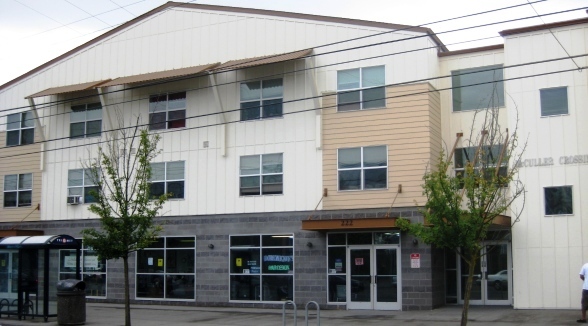 Offering an array of floor plans for everyone, this building is convenient to shopping, PCC Cascade and I-5. The popular Alberta Arts district in just blocks away and many area parks are close by. This is a Tax Credit Building. Learn more about Tax Credit units. Breathe easy. Smoking is not allowed in any REACH property. Bike access to the East Side via the Vancouver/Williams bike lanes and the Holman and Going St. Greenways, access to North Portland via Ainsworth St. Rated “very walkable” with a WalkScore of 82.